Each individual business, even those within the same industries, has unique challenges and needs that must be addressed, which is why it’s smart to work with industry leaders like Aerowave Tachnologies when addressing your communications needs. The right communications solution can help your entire organization improve safety and productivity through more efficient use of time, ensuring everyone is on the same page, and providing instant access to information for the day-to-day operations and in the rare case of emergencies that may occur. Aerowave offers a wide range of communications solutions that include access to Wide Area Network throughout the Dallas and Fort Worth areas. Our system allows companies to gain wide area coverage at a fraction of the cost of installing their own system. We also offer a wide range of rugged and durable Motorola MotoTRBO digital two-way radios to facilitate effective communications, many of these offering advanced safety features to promote enhanced security throughout your organization. GPS tracking capabilities to aid in dispatch and monitoring of drivers and for rapid response in the case of accidents. These features give you the confidence you can reach your people, whether it’s for day-to-day operations or in an emergency. We will work with you to create a customized solution for your organizational needs that increases your productivity, helps you accomplish your goals and adds security for your people. Aerowave Technologies is a woman-owned business that has been serving the communications needs of businesses and industries throughout Waco, Dallas, and Fort-Worth, Texas for nearly 20 years. 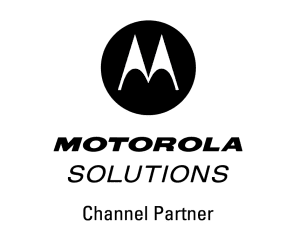 We are also HUB certified and Motorola Solutions Channel Partners, so you can have confidence your communications solution will meet your expectations. Contact Aerowave Technologies today to learn more about how we can help you create a personalized communications solution to meet your communications needs today and as your business continues to grow.